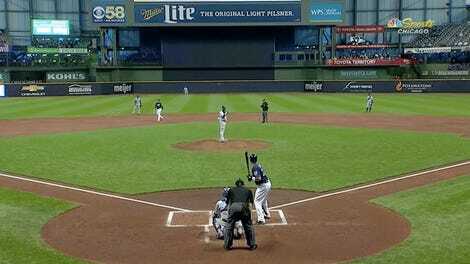 Last night was a rough one for the Brewers. They got shut out by the Cubs at home. They made two ugly errors in a three-run inning. 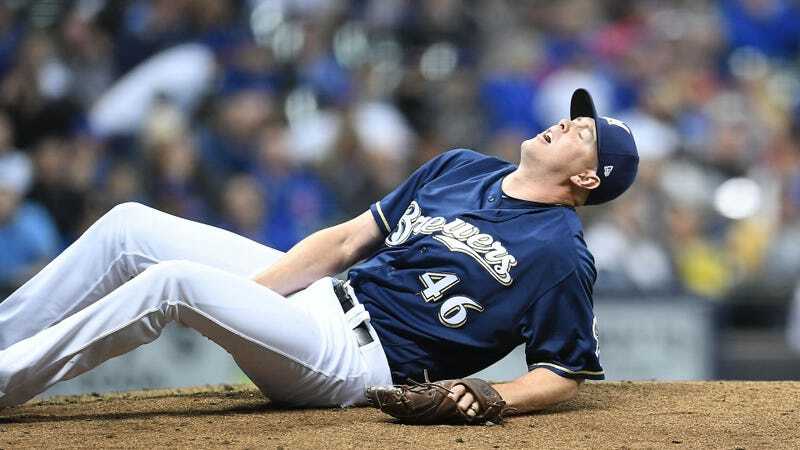 And they lost closer Corey Knebel, who took the mound for the ninth in a game where he wasn’t really needed and went down with a hamstring injury that’ll keep him out for 10 days or possibly longer. That’s a pretty good set of guys to be grouped in with! Knebel’s strikeout rate translates to more than 40 percent of the batters that he faced, and it came with a record-setting streak: the most consecutive appearances in one season with at least one strikeout, with 45 games from April through July. Part of that breakout was a little velocity bump—Knebel went from sitting 95 mph with his fastball to about 98 mph—but he also had much better results from his secondary offering, a knuckle-curve. In 2015 and 2016, he saw 26 percent of swings on the pitch whiff; in 2017, that number shot up to 43 percent. In the course of a year, Knebel went from an average middle-innings guy to one of the 10 best closers in the game. His likely replacements, Josh Hader and Jacob Barnes, are each kind of exciting in their own way—Hader posted a pretty flashy strikeout rate of his own during his rookie season last year, and Barnes has a ridiculous slider. 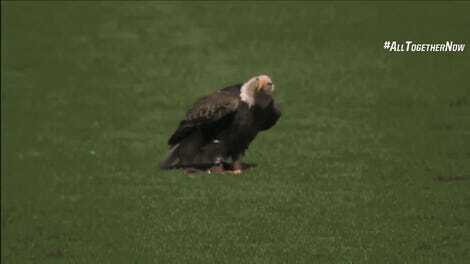 But for now, Milwaukee just has to hope last night’s injury wasn’t quite as bad as it looked.